New flywheel and crank sensor in. STILL misfiring. Dealership is definitely frustrated they can't fix the car, and Hyundai obviously has the fix wrong. I will absolutely be pursuing my options, I do want to see what Hyundai is going to do in this scenario. This certainly doesn't bode well for a luxury experience. They've literally replaced everything possible related to the engine from my understanding. I'd say it's a good chance as some of you mentioned those gremlins persisted over and maybe even damaged the new parts they put in. To echo the facepalm earlier.. They already gave him a long block... I have heard from back in my Azera days that Hyundai doesn't do what we would typically call a crate engine - including electronics, sensors, etc. All these components would need to be transferred - as I indicated in my first post calling "foul" on that solution - the electronic gremlins would transfer right along with it.... and they did. I sure hope that despite the prolonged wait - this sensor (and they ought to throw more new electronics at it as well) fixes the problem. My mistake, my quick read I was thinking short block. Thanks for the information on not being able to get a drop in engine option. You have the most difficult problem to diagnose. It could be a sensor it could be the wiring harness or connector. Added the fact that this is a new drive train, so you are probably "patient zero". At this point they need to hand you the keys to a new car. Seriously. Get your attorney on the phone. lawyer up, keep it professional, and don't wait because time is of the essence. The exhaust manifold was the issue with the ongoing misfires. That was resolved, and it appears to be running just fine now. They're keeping it a few days to run further testing and perform some further warranty work and it should be ready on Friday. In regards to further pursuit after all the issues I've had, I expect Hyundai to make it right, as it's been out of service for nearly 3 months total with all the warranty work that's been done on it, that's nearly a 20% downtime on the total ownership experience I've had. I'll keep you guys updated on that front. Care to elaborate with details on the exhaust? Even if the suspect cylinder was "pinched" on the manifold - it should have resulted in backfires - not misfires. I'd ask to see it if I were you. I am still banking on electronics. Finally picked up the car today! Have 3 low tire pressure monitors going off (3 tires around 25 PSI versus another one at 33), but the engine runs silky smooth. In regards to the exhaust manifold, they didn't clarify as to why exactly it was causing a misfire. At that cost, they should have just replaced the car! I think you are too accommodating of Hyundai on this issue - there is no way I'd accept the car back without an EXACT root cause being identified and documented. Good luck with it and I hope it's fixed for good! Agreed on both points. Smoothly running car or not - I'd be raising Kane if I were you until I got a very detailed explanation. Was there any further outcome on this? Uh-oh there can't be any good reasons for you resurrecting this thread. Trying to help another user in another thread who appears to be having a similar issue. Other week I had the car start shaking fairly badly on a stop light, along with flashing check engine light. Car ended up stalling, although I was able to restart it, without the check engine light but still a rough idle. Car was smoother but throttled at higher RPMs, however every time it was idle it'd shake fairly badly as a result of the misfire. Wasn't able to actually start it once until I gave slightly depressed the gas when it was starting up. I actually had a headache on the way home, and when I got out of the car, there was an overwhelming gas odor as if I was right next to a puddle of gas. 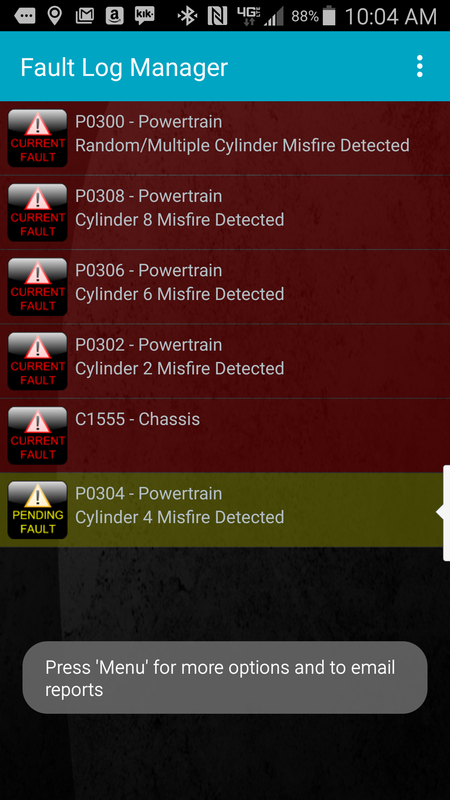 I've got a scanner tool, and it came up with misfires on cylinders 8 and 4. Had it towed to a local dealer, they determined it was cylinder 8's fuel injector that needed a replacement. It was replaced with minimal downtime, and the car was good for a few days. A few days later, same symptoms reoccurred. Scanner tool revealed more misfires (2, 4, 6, 8). It's been in the shop for about a week now, they've replaced another fuel injector and it's still misfiring. They're going to try replacing the drive control module, as they suspect it's gone bad. They're going to need to order it and burn the VIN onto it, and it'll probably take a while. Any of you have a similar issue on the Tau? Mine started doing the exact same thing. anybody got any ideas on what is causing this? help!!! So... My car has this exact issue. In now for it's third trip. Trip one was just a computer reset. 2 time around they replaced all 8 injectors and a harness. I'm getting terrified after reading your headache. Have you had any problems since? Did you ever get your fixed? I'm exhibiting the same symptoms. Dealr already took one crack at it.